Year 1 explained about some of the animals found on the different continents of the world, including how they have adapted to survive in the different climates. Year 1 enjoyed visiting Manor Heath today where they enjoyed learning about the habitats of terrapins and observed the different stages in life cycle of a butterfly. Year 2 enjoyed their trip out today to Hollingworth Lake to support their topic work on 'Habitats'. They: went on a minibeast safari, did some pond dipping and created nests for birds in the trees. Learn more about some of the free events that take place for families at Hollingworth Lake at this website - http://www.link4life.org/whats-on/preview/countryside-parks. 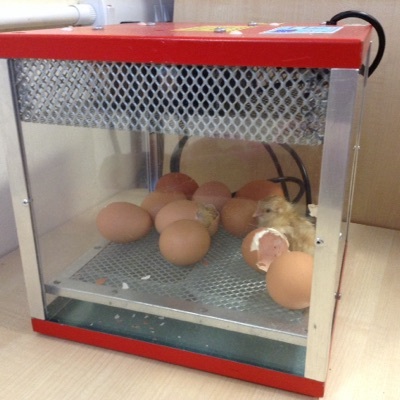 Over the last two weeks, Reception have enjoyed watching some chicks hatch from eggs and start growing in their classroom. Year 5 enjoyed designing parachutes with wing surface areas of different sizes to find out how it affects the time to taken for them to fall and which would therefore be the best. Yesterday, Year 1 investigated what would happen if we added heat to a solid. We used chocolate and it melted into a liquid. 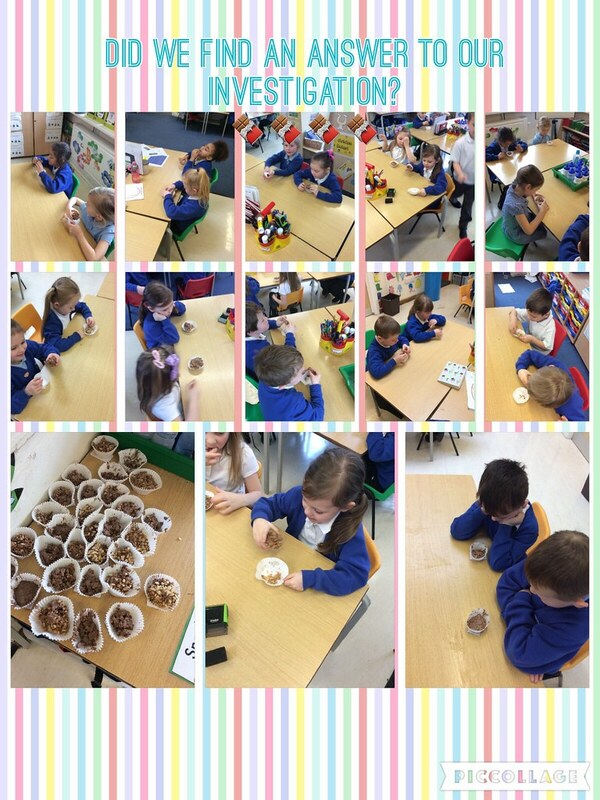 We made our own Rice Krispie cakes by adding our own amount of Rice Krispies to the same amount of chocolate. Who made the perfect cake? 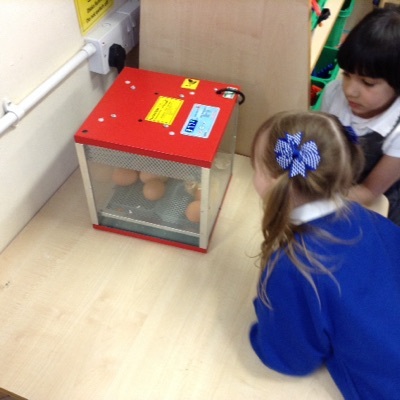 The children cannot contain their excitement this afternoon watching our second chick hatch. Year 3 visited the Museum of Science and Industry today to learn about how forces like: gravity, friction and magnets work. This week in science Year 2 have been investigating. They began the week by thinking of a variety of new materials that could be used to put tea leaves in to make a cup of tea. They thought of; tin foil, plastic bags, playdough, tissue, fabric, balloons and different types of card and paper. This afternoon they tested their materials to find out which ones worked and which didn't. As part of their science topic about space, Year 5 enjoyed visiting Jodrell bank observatory in Cheshire today. They: went inside an inflatable planetarium to learn about our galaxy, explored the interactive museum, did a variety of experiments linked to our solar system and had the chance to admire the 90m high Lovell telescope which is used to track space probes and research stars far away. Year 1 had a great time visiting the underwater world of Sea Life Manchester this morning where they saw thousands of sea creatures, including: sharks, seahorses, octopus, jellyfish, rays and turtles! Today Year 6 had lots of fun learning about how light works: they created periscopes to help with with a problem of seeing over a wall. They learnt that it didn't matter which way they held it; the light still reflected through the periscope.